Tinkatolli Tips - Tinkatolli News & Tinkatolli Guides 2013: Get 2 weeks of membership, for free! Today when I checked out the homescreen, it said on a red bar "Get 2 weeks FREE membership by ReTweeting!" 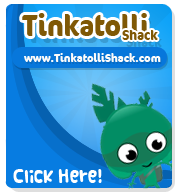 The Find out more button didn't work so I went to Tinkatolli's twitter and clicked the link they had on there. I was taken to a post from kevin and saw it! When you tweet you get the membership! Now if you are already a member, you get 400 trinkets! The code will be Messaged to you, and they send the codes out every hour, so keep watching! Click here to see the full post by kevin.